Patsy: Jacket by Malene Birger, pants by Ida Sjöstedt, shirt by Tiger of Sweden, neckless by Zanzlösa Smycken, sunglasses by Glitter, bag by Jimmy Choo for H&M. Kristin: Vintage dress by Luella. Eddy: Jacket by Kriss, fur coat by H&M, dress by Desigual, catsuit by Ida Sjöstedt, earings by Glitter, ring by H&M, peace neckless by Zanzlösa Smycken. Kristin: Dress by Blondie & Me. Patsy: Jacket by Betty Barclay, dress by Gerard Darel, Neckless by Zanzlösa Smycken, Bracelet by Zanzlösa Smycken, sunglasses by Tom Ford, thights by H&M. 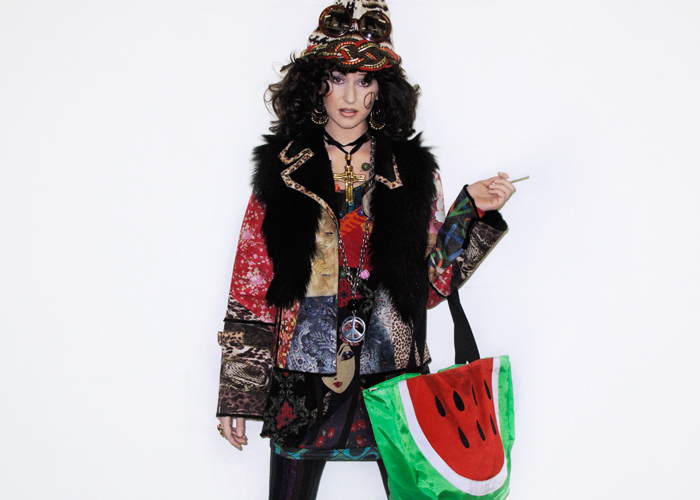 Eddy: Jacket by Manush, top by Manush, skirt by Ida Sjöstedt, vintage bag and umbrella stylist’s own, vintage scarf by Louis Vuitton, hat by Barbara Scott, all bracelets on the left arm from H&M, all bracelets on the right arm from Zanzlösa Smycken and Glitter. Kristin: Undershirt by The Local Firm. Eddy: Jacket by Manush, dress by Ida Sjöstedt, pants by Ida Sjöstedt, Scarf by Kriss, flower by Glitter, vintage bag by Dior, vintage glasses and multicolor neckless by YSL, Orange neckless by Marimekko, chains and rings by Uno De 50. Patsy: Dress by Lund+Berg, jacket by Pepe Jeans.